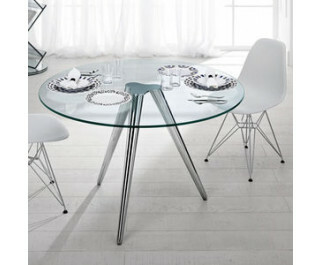 Round table with chromed metal base, top in transparent or grey tempered glass. Every element is equipped with an adjusting device to regulate positioning of the top. Every element is screwed onto the base. Numbered piece. Registered design.